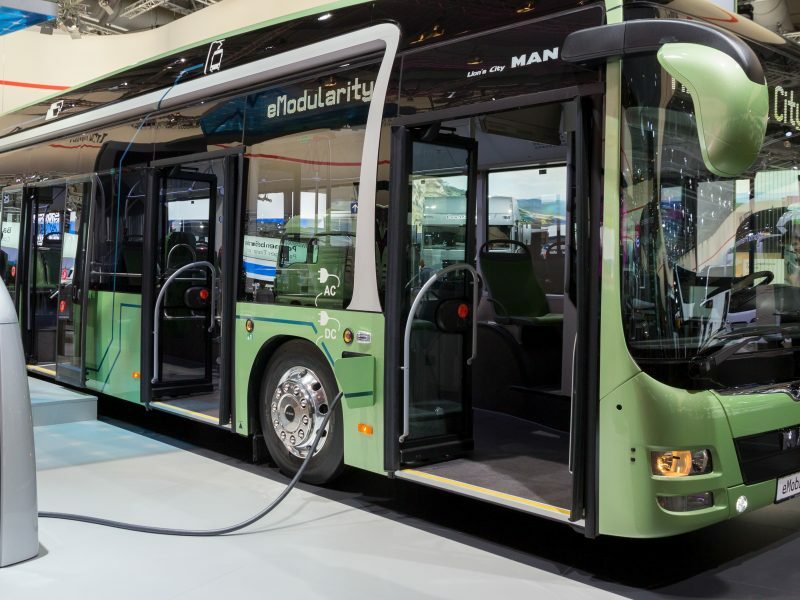 European Union lawmakers struck an agreement on Monday (11 February) on green public procurement rules for new buses, requiring local authorities purchase a minimum share of clean vehicles running on gas or electricity by 2025 and 2030. At least a quarter of new buses purchased by public authorities in cities across Europe will have to be “clean” by 2025, and at least a third by 2030, according to the agreement. The deal was sealed yesterday by Members of the European Parliament and EU member state representatives during evening negotiations on the new clean vehicles directive. Under a key part of the deal, poorer EU countries in the east and south of Europe will have lower targets than richer western states. 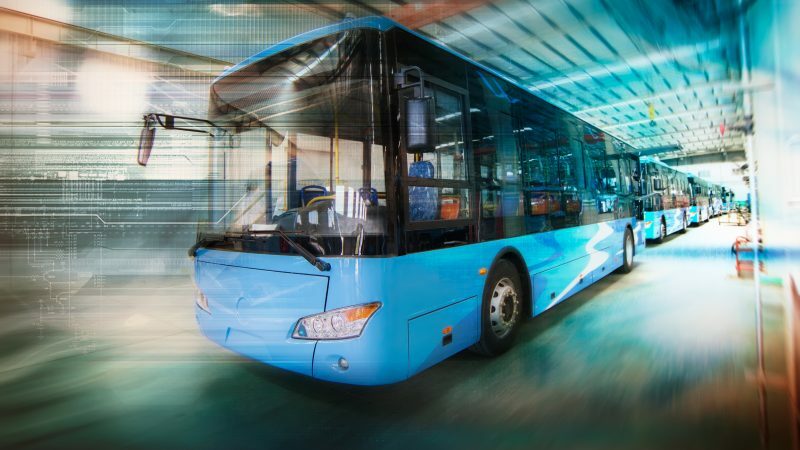 “National public procurement targets for clean buses will range from 24% to 45% in 2025, and from 33% and 66% in 2030 – depending on a country’s population and GDP,” according to Transport & Environment, a green pressure group, which reported about the news on Twitter. T&E said local authorities can achieve half of their targets by procuring zero-emission vehicles – meaning electric buses. The other half of the target can be met with buses running on liquefied and compressed natural gas. This means almost a quarter of new public buses in Germany and Sweden should be zero-emission by 2025 – i.e: electric. Romania and other EU countries with a lower GDP will see more gradual growth: almost a fifth of new public buses should be zero emissions by 2030, T&E said. Fully electric buses account for only 9% of urban bus sales in Europe, according to T&E, which campaigned for higher sales targets. “The new law is the bare minimum – a much faster uptake is needed,” T&E reacted on Twitter. “By 2030, only zero-emission technologies should be supported with public funds,” it added, saying “public money should not be wasted subsidising obsolete gas trucks and buses”. The deal was hailed as “important news for the uptake of urban electromobility in Europe” by Folker Franz, who leads the platform for electromobility in Europe, a network which brings together environmental NGOs, local and regional authorities, as well as electric bus manufacturers. “Targets would give manufacturers the confidence to ramp up production, therefore decreasing upfront purchase costs. Based on our recent analysis, the European industry is certainly ready to deliver,” he said. “The future of the European e-mobility industry is at stake,” Franz said in an opinion article published on EURACTIV before the negotiations took place. The new rules will apply to a wider range of services than initially foreseen – including public road transport services, special-purpose passenger services, refuse collection, and postal and parcel delivery services, the Council said in a statement. A final vote on the agreed deal in the European Parliament is provisionally scheduled for 6 April 2019. Many European countries and cities have implemented measures to promote e-mobility. But to create scale in Europe, a constellation of disconnected initiatives is not enough to drive the needed change and action must be taken at a European level, writes Folker Franz.